Beyonce's baby: how she's using her maternal power. Beyonce’s pregnancy has already gotten so much press you’d think she was carrying the messiah (and maybe she is? ), so I won’t rehash the bump display watched ‘round the world (Though if you want to hear some smart analysis of the Beyonce pregnancy phenomenon, listen to the Slate Culture Gabfest from Aug. 31). 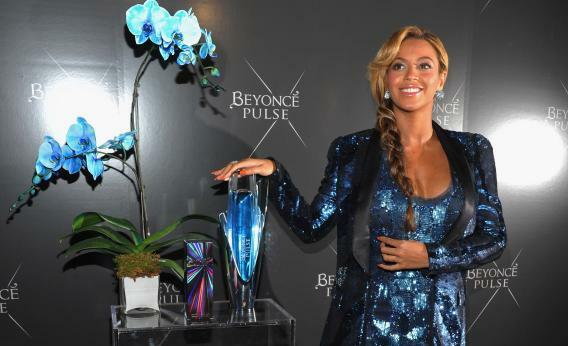 She’s back in the tabloid press this week with the release of her new perfume, Pulse. For those of you keeping score this is Beyonce’s third fragrance—her scent is so compelling it needs three iterations. I want to create a boy band. I want to continue to produce and do documentaries and music videos. I eventually want to start directing for other artists. Once I know that I have my stuff together and I trust that, I can do it for other artists. I see so many male artists building these empires and passing their knowledge on to other artists and development. I see myself doing the same thing and hopefully other younger artists when they grow up and they have been around for 15, 20 years, they can do the same thing. There’s a theory that women aren’t ascending to the top of many businesses because they’re not getting sponsorship—as the Harvard Business Review defines it, sponsorship is a special kind of mentor relationship in which the mentor, “goes beyond giving feedback and advice and uses his or her influence with senior executives to advocate for the mentee.” Beyonce seems like she’s interested in providing that for other female pop stars going forward. That she’s saying this while wearing a sequined mini-dress only makes the statement more powerful. The subtext is: You can be a mother and a mogul at the same time.